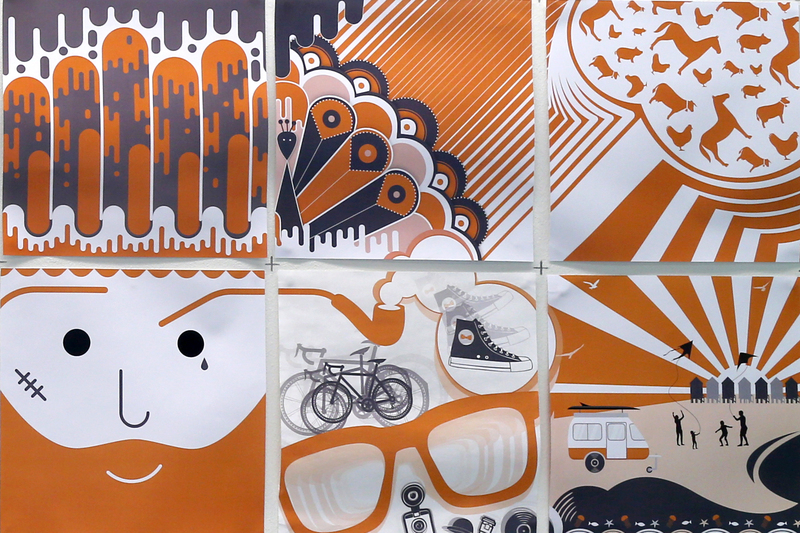 How we turned our studio wall into a work of art! Earlier in the year we were all excited to move to our new design studio. It was important for us to make this a space where our creativity could flourish. We put inspirational work and posters up around the studio, and made one wall a huge blackboard for us to share ideas on. We also wanted something that would reflect the fact that our work as designers is constantly evolving, and that everything we make is in collaboration. Our answer: to create an evolving piece of wall art everyone at DESIGN102 could contribute to. The concept was simple. We divided the wall into 24 squares, and divided these among the team to design. 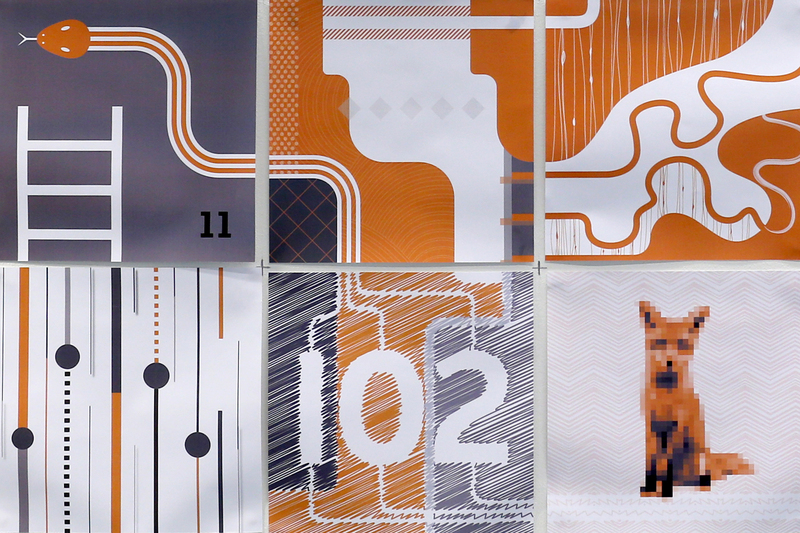 There were only two rules to follow: only our DESIGN102 logo colours could be used (orange and grey, as well as black and white), and each square had to somehow connect to its adjacent squares. Other than that, we were free to do whatever we wanted. As you’ll see, one of our designers got really creative and thought outside the box! The project lasted 24 weeks, with one contribution added to the wall each Friday. The ideas and execution were, as predicted, extremely varied, but the strict colour palette and connective theme made the whole wall look like one coherent piece of work. The project was a great success, and generated a lot of interest and friendly competition in the office. We are already working on our next wall, so watch this space!